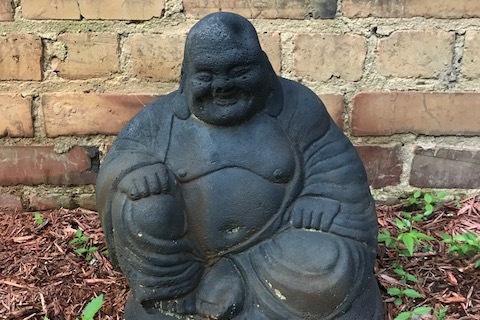 As of five days later, poor Buddha is still missing. We fear he may be lost forever. Thanks for keeping up with our favorite neighborhood vigil. The karma that these thieves have brought upon themselves is a sad situation. Little did they know that they were taking a treasured heirloom. Let's hope someone sees them in the video shared and tells them to please bring Buddha home.